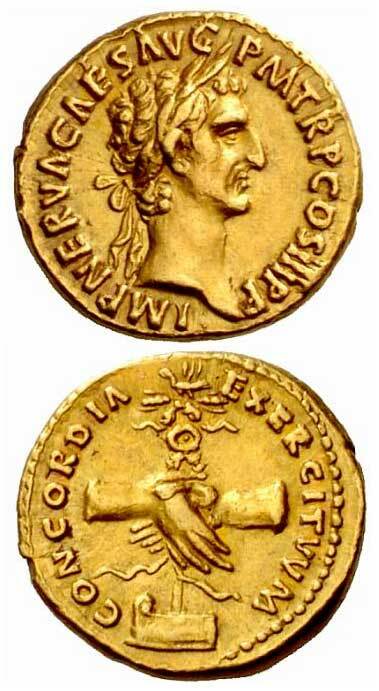 Marcus Cocceius Nerva became Emperor in 96 A.D. He was a 66 year old, well respected senator who had actually helped plan the assassination of Domitian. His family became prominent during the time of Augustus. 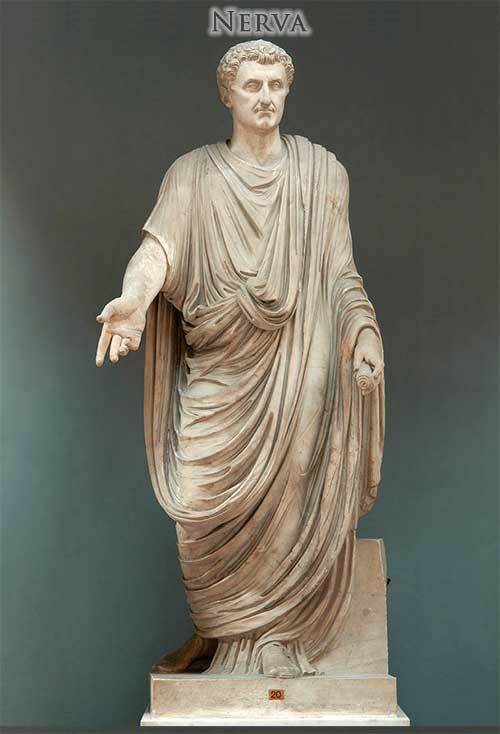 The Senators of Rome declared Nerva Emperor after the assassination of Domitian. He was able to keep order in Rome but the Praetorian Guard and the Army sought for the death of the assassins. Nerva had them executed but the army remained bitter throughout his reign even though he sought to please them. His reign lasted not even a year and a half when he caught a fever and died in 98 A.D. The greatest act of the Emperor Nerva was in choosing a Spaniard named Trajan to succeed him. 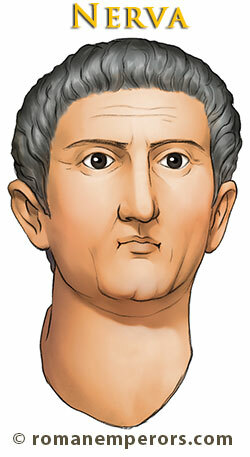 Nerva was technically the first of the "Five Good Emperors" but in contrast to Trajan he did not accomplish much.